for talking about their new single, Indigo Dust, and what sort of themes inspired their debut album, Attention Earth! I ask whether there are going to be gigs coming up and whether the group have any ambitions for the year ahead. Henge recommend some rising artists get behind and discuss influences; the advice they would give to artists coming through and how they spend their time away from music - they choose some cool tunes to end the interview with. Greetings, humans. We are Henge. We bring you the gift of Cosmic Dross - a kind of music that is new to your world. Indigo Dust is the new single. Is there a story behind it? Attention Earth! is your debut album. Are there particular themes that inspired it? Attention Earth! tells of our space travels; we celebrate the importance of water and admire the beauty of the moon; we use the record to reveal our involvement with your planet and your species and, most importantly, it contains our message for mankind – demilitarise, unite and colonise space or face extinction. How did Henge come together? I grew up on the planet Agricular in Cosmos Redshift 7. There was music all around us – the distinction between 'musician' and 'non-musician' was not as clear as it is here on planet Earth...but I absorbed the sounds of 'Cosmic Dross' (the traditional music of my people the Agriculans) and its influence have pervaded every moment of my existence since. We aim to reach as many humans as possible and share with them the sounds of Cosmic Dross. We wish to see the continued proliferation of joy among peoples. We will continue to encourage human beings to put aside war, to achieve their potential and set up colonies on other planets. Only when the path to mass extinction is past the point of no return will we leave planet Earth and seek new worlds where we may be able to have some positive influence on other lifeforms. We have had a myriad of wonderful experiences on planet Earth so far...we have travelled Europe and Australia, played Cosmic Dross to many receptive human beings and catalysed euphoria at many, many festivals. 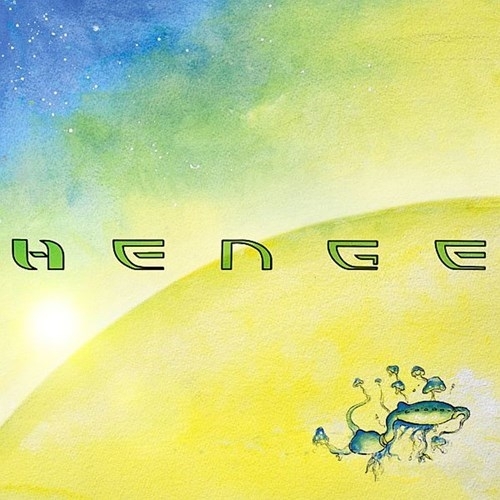 The other members of Henge might have specific highlights – but, as a group, our most significant action on this planet so far is to release the album Attention Earth! Do not set out to copy a particular artist, no matter how much you love them. Listen to a wide variety of music and do not shy away from music that you don't understand. Do not get lost in your ego. When choosing musicians to work with seek to find their particular gift and play to their strengths. Try out ideas without putting yourself under too much pressure. Have fun in rehearsals. Never bully a bandmate. Enjoy your own abilities without arrogance; where you lack ability – be kind to yourself. If you try to cover up your insecurities it will sound ugly. If you try and show off your abilities it will sound ugly. Get comfortable. Don't care. Don't try to second guess what you think the audience is thinking. Make what only YOU can make. Be unique or die trying. The Evil Usses, Paddy Steer; Alabaster DePlume, Barberos; Soccer96, Orchestra of Spheres; Shunya, LOOK MUM NO COMPUTER; Dubi Dolczek, Felix Kubin. Fungus and a foot spa.